In attempts to sanitize the Enneagram into a Christian tool for personality assessment as well as a tool for spiritual growth, some have asserted a possible Christian origin or influence for the Enneagram. Most refer to Evagrius Ponticus, a 4th century monk (who was called heretical), or to Ramon Llull, a medieval mystic. Ponticus and Llull wrote about and/or diagrammed vices and virtues (sometimes 7, sometimes 9) and Llull had other diagrams, but these had nothing to do with formulating or drawing an Enneagram. Also, "LLull was trying to develop a logical system that you could use to prove the Christianity Trinity to Muslims and Jews" (per Ronald V. Huggins, Th.D.). "Llull uses the traditional seven virtues and seven deadly sins in his catechism for young people, and for the trees in his Book of the Gentile. 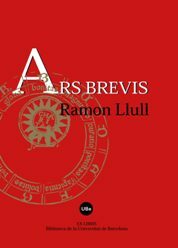 In Ars Brevis he makes everything across the board nines, and in the case of virtues and vices he adds a couple. I suspect he does it so everything matches up. What he's trying to do in the book is to sum up his whole system of describing reality. I haven't read through the whole of it, but I didn't even see that he discussed the vices and virtues really at all. So all this is an adaptation of the traditional seven deadly sins and seven virtues. Nothing earthshaking, nothing to suggest that we are dealing in any sense with the genetic source of the Enneagram. I have addressed Ponticus in my 2011 article on the Enneagram. In that article, I point out that Alice Fryling, a "spiritual director," Christian author, and teacher of the Enneagram, admits most of the Enneagram is not Christian but possibly had origins in Ponticus' writings on "life patterns." She gives no historical evidence for this, because there is none. Unfortunately, a book on the Enneagram by Richard Rohr, a self-admitted panentheist, entered the evangelical church after it was first introduced at Progressive Christian conferences. From there, it caught on with some conservative churches, pastors, and seminaries via speakers such as Christopher Heuertz whose books on the Enneagram have been published by Zondervan (including one dramatically titled The Sacred Enneagram). Other Christian books have come out as well, marketing the Enneagram as a "Christian" tool with spiritual benefits. Once the overall impression of the Enneagram being Christian caught on, false assumptions were made. It is partly a matter of marketing and belief in what is marketed that assures its success because no one is actually examining the facts. Rohr has heretical views of Jesus Christ, making a distinction between Jesus and "the Cosmic Christ." This is yet another reason not to take the Enneagram on his word. Despite there being not a shred of evidence for it, some supporting the Enneagram are trying to claim these so-called Christian origins. At the very least, this is misleading. There is nothing Christian about the Enneagram or its use. Its origins are pagan and its purpose as a personality assessment tool was at the hands of some dubious esoteric psychologists (see CANA article on the Enneagram GPS). That it may seem accurate can be explained by confirmation bias and other factors. Millions of people also think their zodiac sign is spot on, so does that make zodiac signs credible? There is no objective basis for the Enneagram historically, as a personality assessment, or for being Christian. Rohr is a self-avowed panentheist and his colleague Cynthia Bourgeault, has a "Wisdom School" based on the teachings of mystic and early New Ager George Gurdjieff. This is relevant to the Enneagram in that the Enneagram came from the teachings of Gurdjieff. "Christ said things that Jesus would never have said." "Christ began to exist with the Big Bang." "The world was the first body of Christ."